Already well-known in the realms of fragrance, lavender's aromatics can also be used to outstanding effect in the culinary world for both sweet and savoury dishes. Unlike many herbs, the potency of lavender flowers actually intensifies as it dries. This is important, as when cooking with dried lavender, a little does go a long way. When using lavender, ensure that you use food-grade lavender, as flowers from a garden centre or florist often has pesticides which can be harmful if ingested. 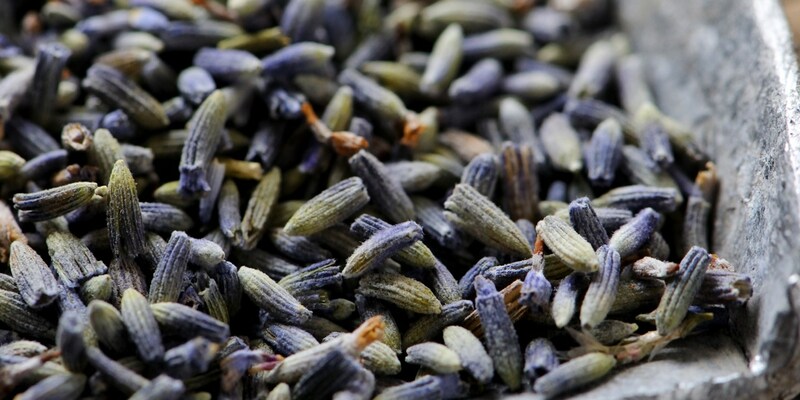 English lavender, with its sweet and mellow flavour, is usually the variety of choice for cooking. In this lavender recipe collection, James Sommerin shows how well lavender can be used with meat in his duck breast recipe, supported by the earthy sweetness of beetroot and sweet potato. On sweeter plates, adding a bit of lavender to a sugar bowl will impart it with a lovely flowery touch that can be used in baking, or simply in a nice cup of aromatic tea. Frances Atkins makes use of the provenance of an English garden with her rose petal panna cotta with damson and lavender Viennese shortbread, while Pascal Aussignac uses the purple blooms in a sorbet to accent his rich chocolate pudding recipe.